The 2018 European Championship in 10m events will take place in Gyor, Hungary, from the 16th through the 26th of February. Entries and participating nations rocketed to record numbers. The 2018 European Championship 10m in Gyor, Hungary, is only about to start on February 16th and already it has set several new records. For the first time in the history of the European Air Guns Championship, 48 Member Federations are participating. The largest delegations will come from Hungary, Russia, Ukraine and Germany. Italy, Slovakia, Croatia, Czech Republic and Norway are also sending impressive teams of more than 40 athletes each. Austria, Poland, Sweden, France, Belarus, Croatia, Slovenia, Serbia, Bulgaria and Armenia will be represented by 30 or more shooters each. Another record is expected in the number of total entries. More than 650 shooters have been entered to take part in the individual competitions. 82 Mixed Teams in Pistol are registered so far - 49 in Senior and 33 in Junior events. 78 Mixed Teams are planning to compete in Rifle - 43 in Senior and 35 in Junior categories. 180 young men and women athletes will take part in the 2018 Youth Olympic Games Qualification. The total number of entries, including the Running Target events, is therefore expected to exceed 1150 athletes! 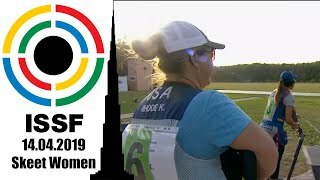 It will also see the awarding of medals in the new Olympic events - Air Pistol/Air Rifle Mixed Teams, introduced by the European Shooting Confederation at the 2015 European Games in Baku, according to the new format approved by the ISSF in 2017. The five top-ranked teams in Qualification will proceed directly to the Final. There will be another novelty at the Championship in Gyor. For the first time in history, the Team events’ champions and medallists will be determined not by mathematical addition of the individual Qualification scores, but through competitions that will end up in Medal Matches. This is why the former schedule of the European Championships has been modified for now each athlete, Junior and Senior, has a chance to compete during three days in three events. One day in individual, another in Mixed Team and, finally, in the Team event. In order to promote the Mixed Team competitions as well as the new format of the Team competitions, the ESC President has established his personal prizes for the medal winners and finalists in those events among Seniors and Juniors. 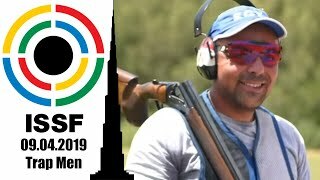 To increase the public interest to the Championship, all the necessary arrangements have been made by the Organizing Committee, the Hungarian Shooting Federation and the European Shooting Confederation to guarantee quality media coverage of the competitions in Gyor. 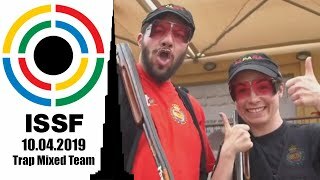 In cooperation with the European Broadcasting Union and the Host Broadcaster DIGI TV, live TV coverage will be available of the Finals in six Olympic events - Air Rifle Men, Air Rifle Women and Air Pistol Mixed Team on February 23rd as well as Air Pistol Men, Air Pistol Women and Air Rifle Mixed Team on February 24th. Several of our Member Federations, including Germany, France, Slovenia and Russia, have acquired the respective rights for this TV coverage to be relayed within their territories. We are expecting more to join the list. But that is not all! There will be live Internet streaming that will cover the Finals in all individual, Mixed Team and Team events in Air Rifle/Air Pistol as well as the Running Target competitions in Junior and Senior categories on February 20th-25th. 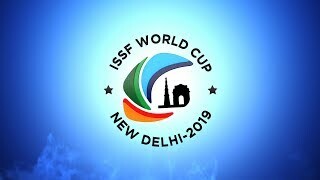 It will also cover the continental qualification for the 2018 Youth Olympic Games on February 18th. 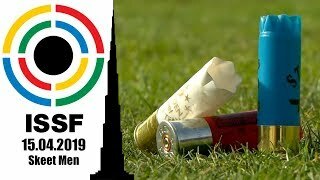 All those interested in the live viewing of the 2018 European Championship 10m should follow the website of the European Shooting Confederation www.esc-shooting.org.